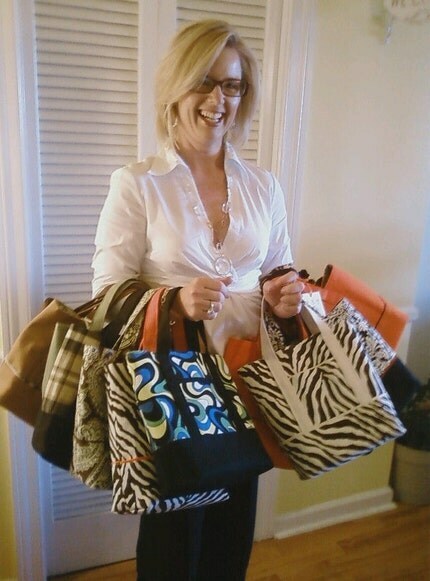 Back in the fall I met Penny Bennett at a craft fair, surrounded by some of the cutest handmade bags I have ever seen. She told me that she was getting ready to open an online shop, so I added my name to her email list and just a couple of weeks ago she let me know that it's official! Penny Bennett Totes has arrived! 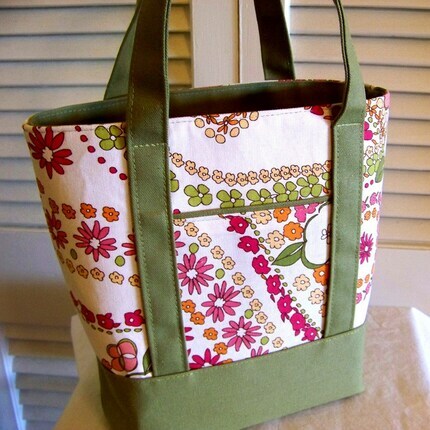 Spring Inspired Tote with Olive Accents. It looks like Penny is concentrating on basic totes now, which by the way are the perfect size! At the craft fair she had many different sizes and styles of bags, made from both new and vintage fabrics. I cannot wait to see all the great things she comes up with. Stop by her shop and pick up something nice for spring!